Today we’re going to analyze some stealth and psychological warfare music. Enjoy! 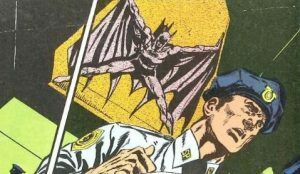 The track starts with some ominous chords on harp and celesta, while Batman sneaks through the prison corridors. You could call this “ambient music” I think. As suddenly two guards appear, Batman has to hide very quickly, a situation in which disrupting brass chords seemed appropriate. They precede a great visual moment in which we see Batman hanging on the ceiling above those two guards. The build-up to this moment is musically reflected by a violin glissando followed by some stressful figures in the high register. When the guards are gone, Batman returns to the ground, and so does the orchestra. Again there is some ambient music as Batman looks in the cells for Ra’s al Ghul. When he finds him his theme, or rather motif, is introduced for the first time. I wrote it before Talia’s theme and I’m glad I did, because it’s such a powerful melody. It has an oriental touch due to its shifting harmony, and the solo bassoon is the perfect instrument to carry it. It consists of five fast notes in succession which are all pretty close to each other, but they are from different harmonic scales. I decided to put it against tam tam and gongs and unpleasant tremolo in the basses and celli while Ra’s plays his psychological tricks with Batman. 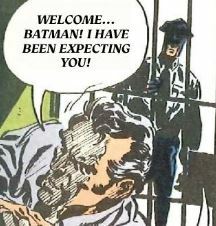 As he mentions Talia, Batman comes into a rage, trying to grab him through the prison cell bars. A highly emotional moment in which I decided to use Talia’s theme on solo strings with double stops and percussive hits. 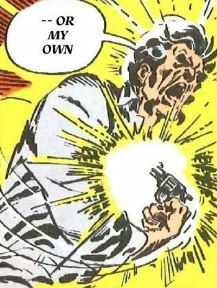 Then the scene reaches its climax with an orchestral dissonant chord played in tutti as Ra’s shoots himself and throws the gun at Batman’s feet. After Ra’s takes his last breath, the music fades to discomforting silence. As a composer I can tell you that this scene was a lot of work, but also a lot of fun, to get into the characters, their emotions, their surrounding, but also providing a musical frame for the prison setting and the conspiracy plot as a whole. Next time we’re having fun with some guards who think they can keep the Batman in prison.